It's hard to get people's attention for product training. A Packet Power customer decided to take a different approach that resulted in enthusiastic team engagement. It involved a Packet Power power module, environmental monitor and Ethernet Gateway along with an espresso machine and two light bulbs. 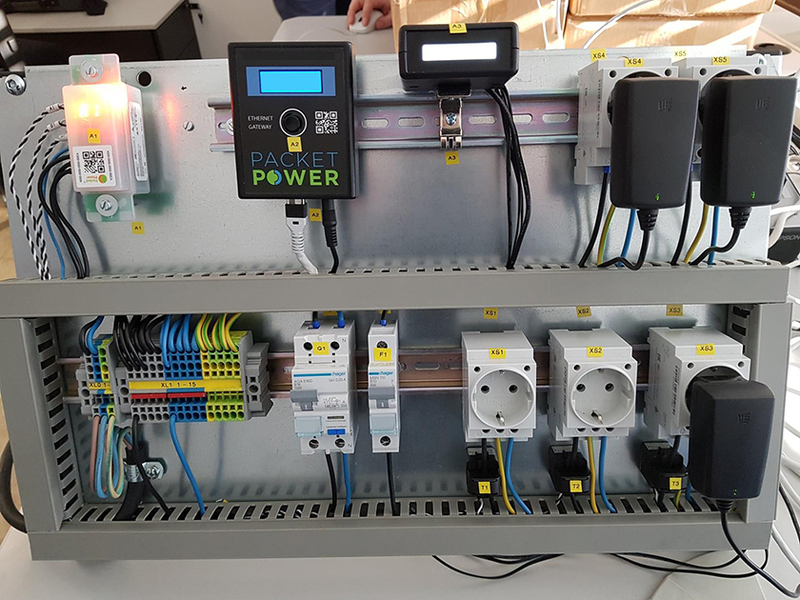 The customer has been using Packet Power wireless monitoring devices in their facility and are in the process of installing many more. The customer understands the importance of ensuring the team using new products is up to speed. So the Head of Infrastructure Management had a few team members build a demo and training kit to demonstrate how the power and environmental monitors work. Plugging in the espresso machine demonstrates power usage viewed through the Gateway's web accessible console. Temperature probes measure ambient temperature near the light bulbs. The espresso generated from the espresso machine is a reward for team member attention. The end result: team members are fully trained ... and caffeinated. Congratulations on a creative training solution. Please email info@packetpower.com if you would like to share one of yours.